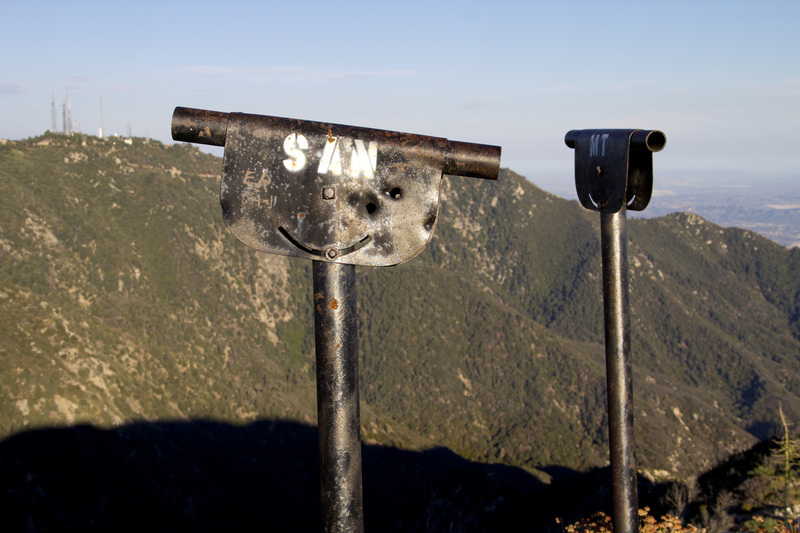 The hike to Mount Lowe on the Sam Merrill Trail is daunting to say the least with a 4,000' climb to the summit spread out over 6.5 miles. Given the southern California heat and a trail with little to no shade, it's an intimidating prospect to say the least. If only there was another option to reach this historic summit with its grand vistas of the San Gabriel Mountains and the Los Angeles Basin. Well, as luck would have it, there is such a route. 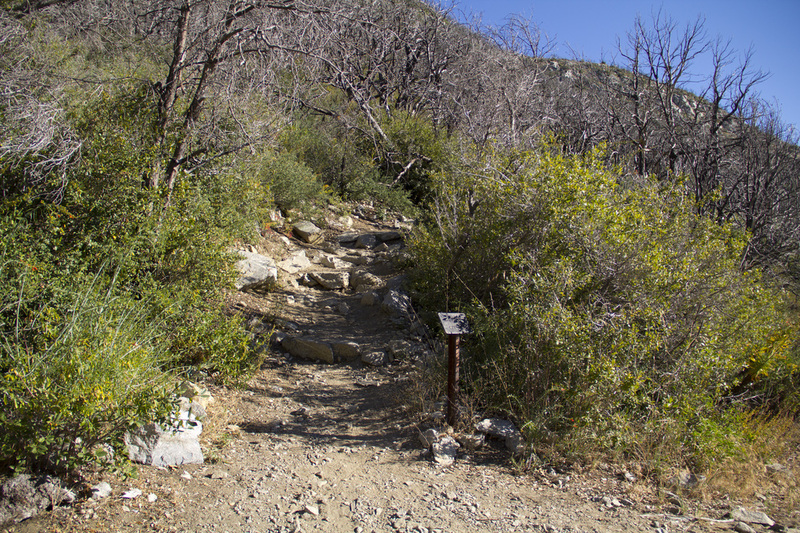 Beginning at Eaton Saddle to the east of Mount Lowe you can attain the summit on a mile-and-a-half hike with just under 400' in elevation gain! And to kick things off, you are rewarded with not one, but two great views from the trailhead. 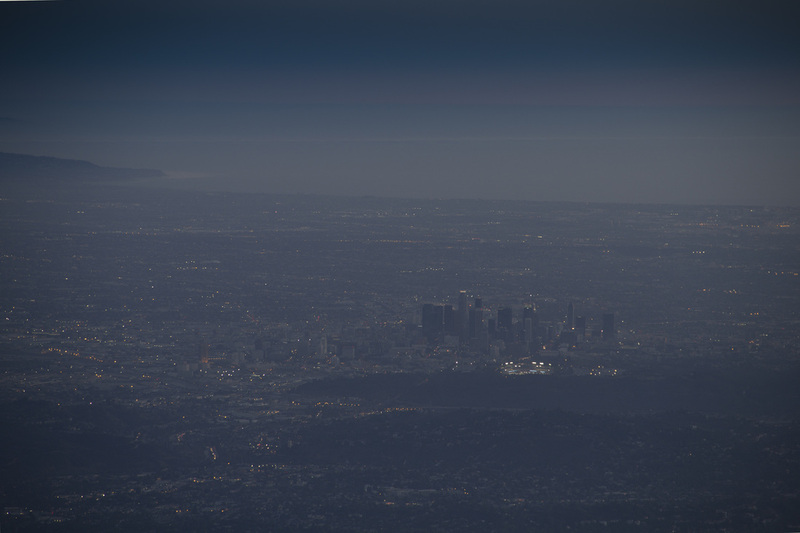 The first looks east across the interior of the San Gabriel Mountains to Mt. Baldy, and the second faces south with views of the San Gabriel Valley. 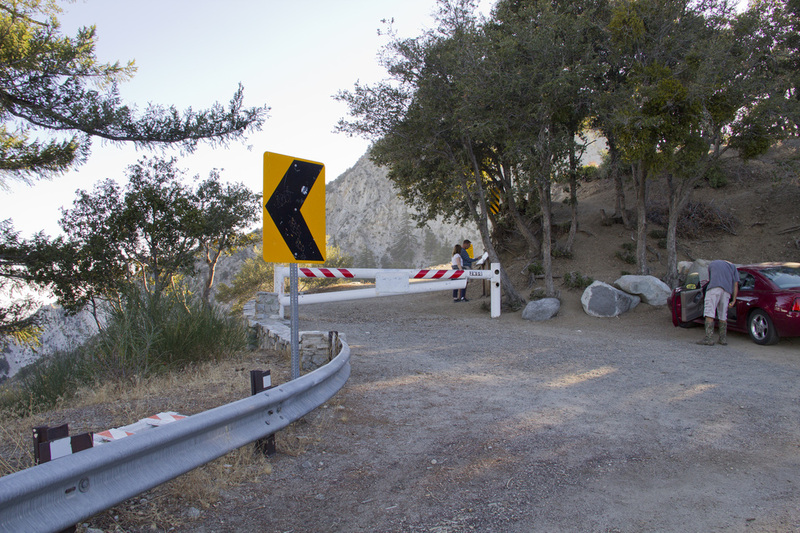 From the trailhead, the path leisurely follows the Mount Lowe Road dirt fire road around the upper reaches of the gorgeous Eaton Canyon, with its vertigo inducing views, and along the soaring granite cliffs of San Gabriel Peak. At a quarter-mile, the road passes directly through the cliffs in the Mueller Tunnel, emerging on the opposite side in a shady grove of oak and pine trees passing the towering spire of Mt. Markham on its way to Markham Saddle and the first trail junction. At Markham Saddle the mountains open up to the broad expanse of Bear Canyon extending to the west for your fourth major view in just a half-mile of hiking. 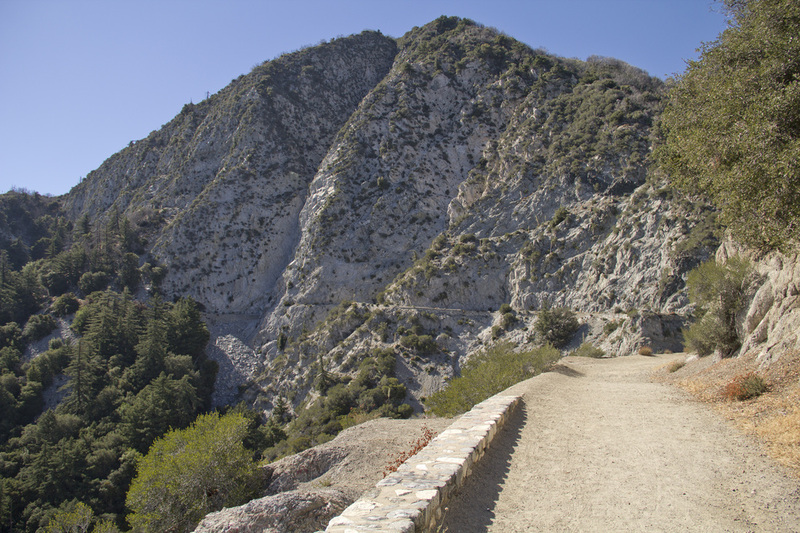 From Markham Saddle, veer left onto the marked single-track Mount Lowe East Trail. 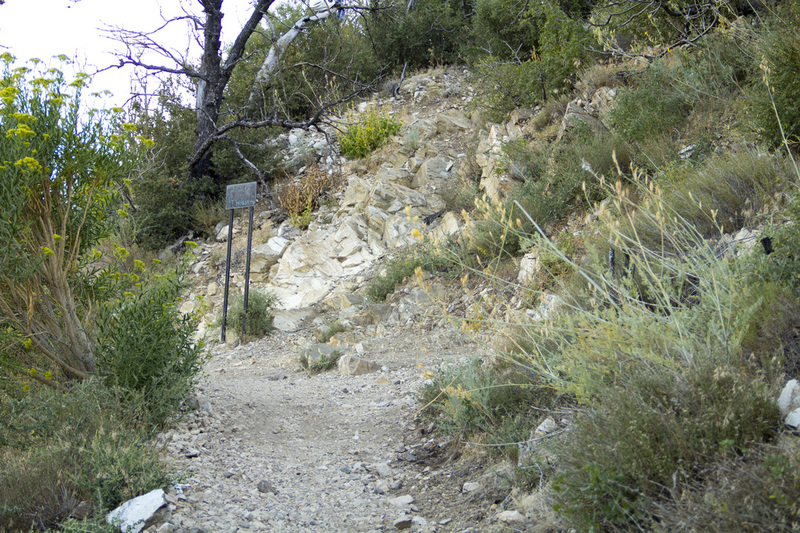 The trail will begin a noticeable uphill climb, with the Mount Lowe Road falling away to your right, but remains an easy trek toward Mount Lowe. About 2/3 of the way on this section of the trail you will cross over a rocky ridge and get your first glimpse of the views to come. To the east and northeast are Mt. Markham, San Gabriel Peak and Mt. Disappointment with its array of telecommunications equipment while to the south and southeast are views of the San Gabriel Valley and Mt. Wilson. 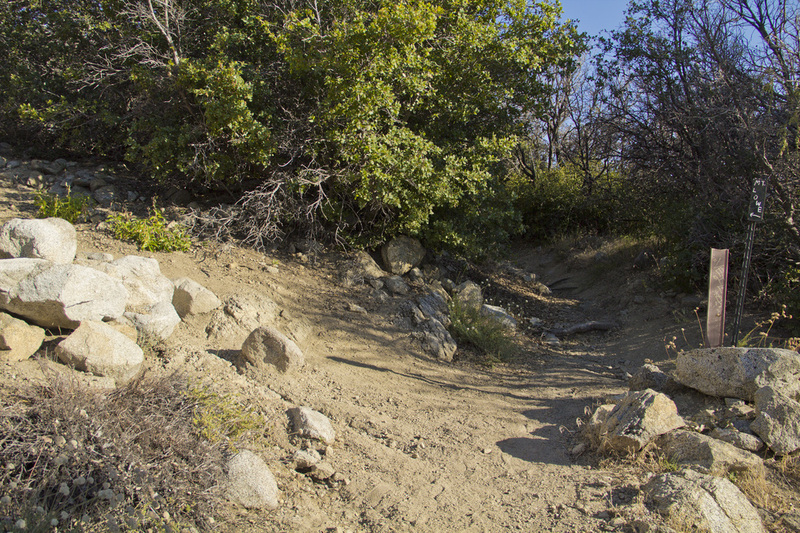 A short distance past the rocky ridge is the second trail junction where you will hairpin hard to your right and continue uphill on the Mount Lowe Summit Trail. As you close in on the summit, the trail will become a little rockier and you will have to pick your way carefully around some smaller boulders, but there are some grand views of Bear Canyon from a different perspective. Just before Trail Junction 3, the trail becomes markedly steeper, but it is such a short distance that you'll barely have to time to get your heart pumping. At the third junction you may turn left onto a short, but somewhat steep trail that ascends directly to the upper summit or continue straight through the junction on a much more level, but slightly longer trail that brings you out near the lower summit. Either way, you are only moments from some glorious panoramic views of Los Angeles, the Pacific Ocean and the San Gabriel Mountains. Reaching the summit you are greeted with some of the best views in the Los Angeles area, stretching from Mt. Baldy in the east to the Santa Monica Mountains in the west and all the way to curve of the coastline along Redondo Beach and the city of Torrance in the south. Southern California is truly laid out at your feet in all directions. But the summit holds a few more surprises. Named for Professor Thaddeus Lowe, a Civil War balloonist believed to be the first man to set foot on the summit and plant an American flag, both the upper and lower summits contain historic relics dating back to the turn of the 20th Century when Lowe had grand plans for the area. In 1894, Lowe opened the Echo Mountain Hotel, known as the White City in the Sky for its gleaming white facade that could be seen from downtown Los Angeles. To reach the hotel, Lowe built a funicular railway that would transport guests and visitors from Rubio Canyon in Alta Dena to the summit of Echo Mountain and his fabulous resort. From there guests could board another railway running even further into the mountains to the Ye Alpine Tavern, located on the site of the present day Mount Lowe Campground. It was Lowe's dream to further extend the railway all the way to summit of the mountain that bore his name and build an even grander hotel than the Echo Mountain Resort. 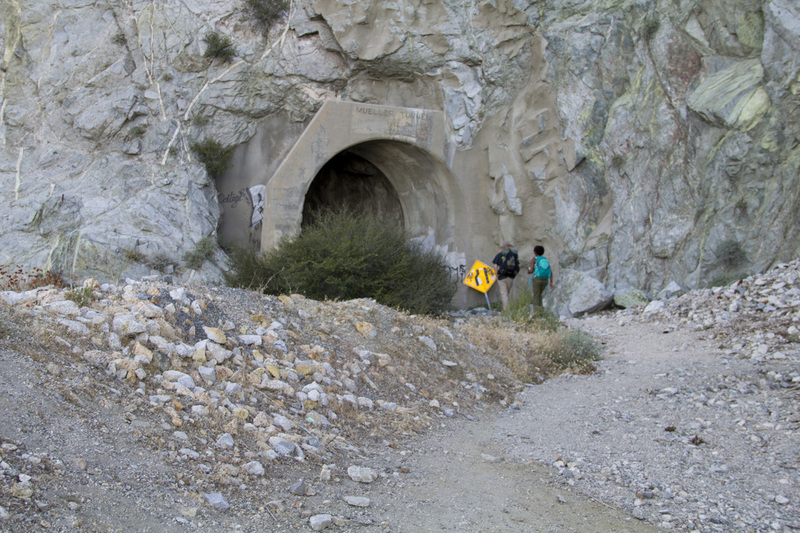 From there, guests could take an aerial tramway across the canyons to the summit of San Gabriel Peak. Unfortunately, Professor Lowe's dreams were bigger than his pockets and the resort complex fell into receivership before any work could commence on Mount Lowe. In 1900, fire consumed the stately Echo Mountain Hotel leaving nothing but the foundations. 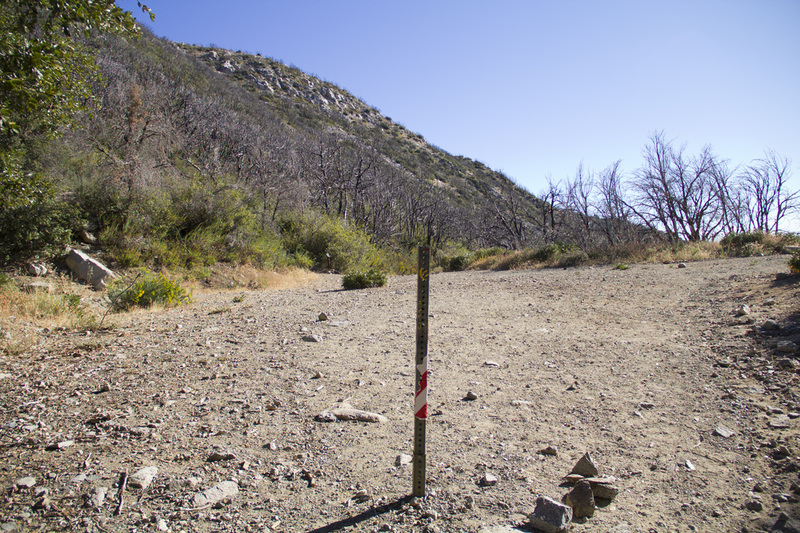 On Mount Lowe, however, there are still several reminders of the past including two sets of hitching posts that once tethered the horses of resort guests after a 2.5 miles ride from Ye Alpine Tavern. Several viewing tubes also remain in place allowing visitors to identify mountains and other landmarks. An historical placard attached to one of the hitching posts details some of the history of the Echo Mountain Hotel. To learn more about Professor Lowe and his White City in the sky, read our blog post by clicking here. You can also visit the ruins of the once stately hotel on our Echo Mountain Hike. 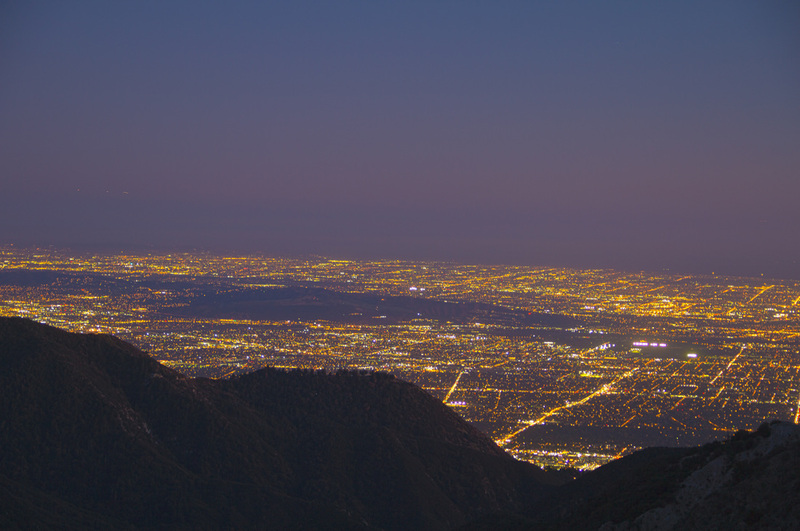 Due to its relatively easy trail, the Mount Lowe Hike also makes for a good sunset hike. As the sun dips behind the Santa Monica Mountains, the entire Los Angeles Basin comes to life in a glittering spectacle of glowing streetlights. There may not be a better nighttime view of the entire Greater Los Angeles area. Should you opt for a sunset hike, flashlights are required for the return trip. All-in-all, a hike to Mount Lowe provides an easy, enjoyable hike with plenty of stunning vistas and a glimpse into the history of southern California. Take CA-2 East for 13.9 miles from the 210 north of Pasadena. You will pass the Clear Creek Information Center and the Switzer Campground. Turn right on to Mt. Wilson Red Box Road and continue for another 2.3 miles to Eaton Saddle. Park on either side of the road. The trailhead is located at the gate on the western side of the road. There is also a great view of the interior San Gabriel Mountains on the eastern side of the road to kick your hike off with. Road for another .25 to Trail Junction 1.
much easier grade circling around to the south side of the summit. Congratulations! You've reached the summit of Mount Lowe at 5,603'.